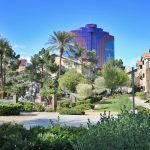 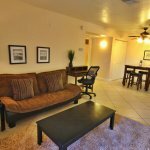 This modern, first floor 1-bedroom, 1-bath condo is situated within the Flamingo Palms Villas guard gated community ideally located in the heart of Las Vegas, near the main Strip hotels and casinos. 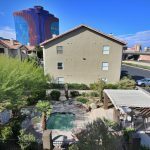 The Palms Resort and Rio Casino are just yards away and within walking distance. 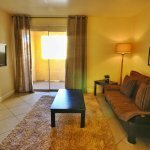 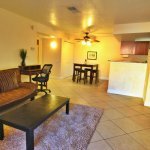 This condo is also conveniently located right off of the I-15 Freeway and Flaming Rd, so getting anywhere around town is easy. 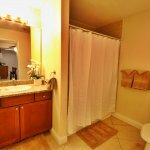 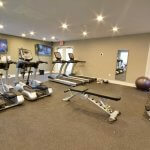 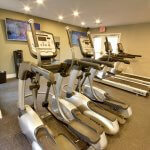 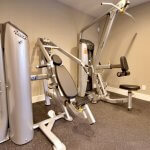 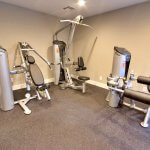 This condominum has tile flooring throughout and hardwood floors in the bedroom. 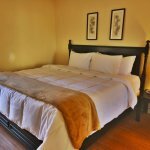 Other special highlights include a queen-sized bed, flat-screen TV’s, and a suitable office desk for your working needs. 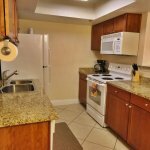 This property also has a kitchen that will inspire your inner chef with its granite countertops and comes fully-equiped with housewares, kitchenware, fresh towels and linens. 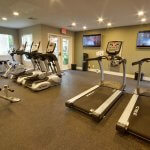 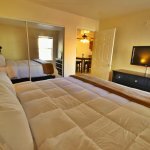 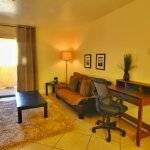 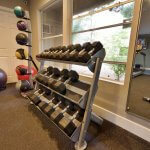 All utilities are included in the monthly rent and it even includes cable TV and wifi internet! 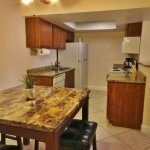 Just bring your suitecase and enjoy this cozy home away from home!